Grew up with Khimik Engels (Russia) juniors. Made his debut with Khimik Engels, in the Russian minors, during the 1999-00 season. Played also several games with Autodor Saratov. Signed for the 2000-01 season by Autodor Saratov. Signed for the 2002-03 season, signed by CSKA Moscow. Signed for the 2004-05 season by Portland Trail Blazers. Signed for the 2006-07 season by Chicago Bulls. Played there till February '08. Moved to Russia on February '08 signed by CSKA Moscow. 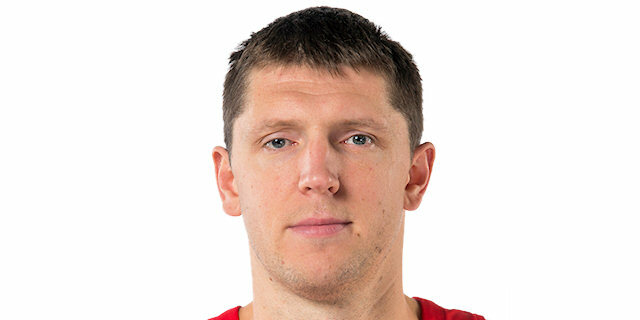 Won the 2008 and 2016 EuroLeague with CSKA Moscow. Named to the 2009-10 All-EuroLeague First Team. Named to the 2012-13 and 2013-14 All-EuroLeague Second Team. Named the 2009-10 EuroLeague Best Defender. Named the 2009-10 EuroLeague March MVP. Named the EuroLeague 2012-13 Playoffs Game-2 and 4 MVP. Led the 2012-13 EuroLeague in rebounding (7.31 rpg.). Played at the 2002 and 2010 World Championships. Played at the 2003 and 2005 European Championships. Won the 2002-03, 2003-04, 2007-08, 2008-09, 2009-10, 2010-11, 2011-12 and 2012-13 Russian National Championship with CSKA Moscow. Won the 2012, 2013, 2014, 2015, 2016, 2017 and 2018 VTB League with CSKA Moscow.